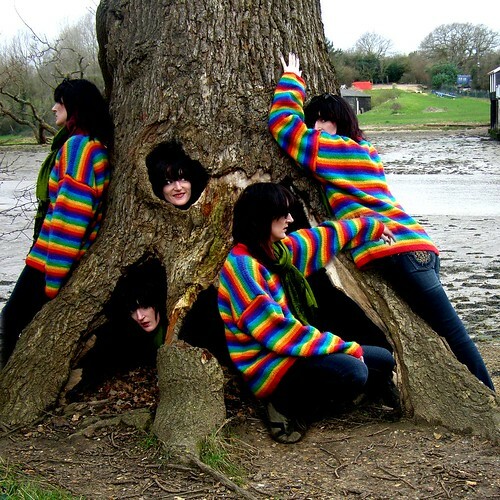 Multiplicity photography is a photography trick where you put your camera on a tripod and then take photographs of yourself by using a self timer, or, if you use a friend to take the photos, you won't need the self timer. 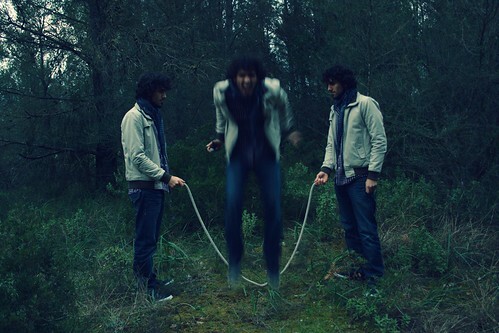 After all the photographs are taken, combine the photographs into layers and mask out the parts surrounding the body. This process can go fairly quickly, however if the bodies are overlapping each other then it can become time consuming because you have to carefully mask out everything but the body. 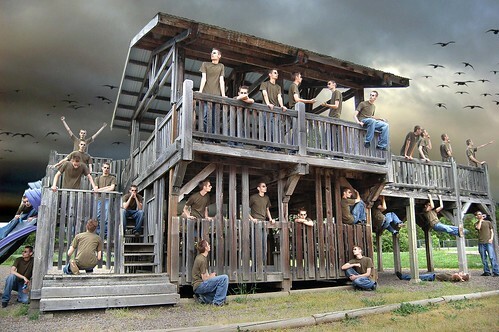 If you would like to learn this technique in more detail, take a look at the Multiplicity Tutorial. 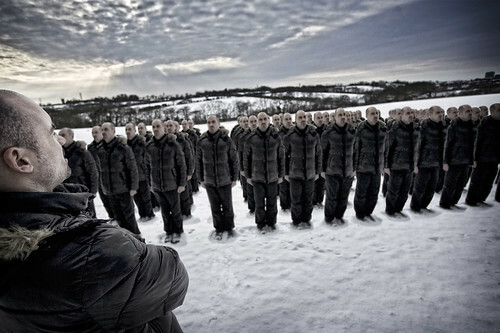 If you are a Flickr member, you can submit your clone photographs to the multiplicity group, Clones group, and of course the PhotoExtremist group! 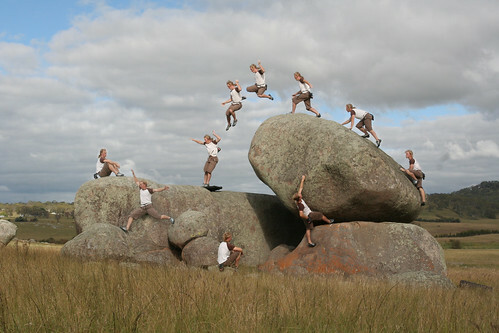 A popular application of multiplicity is to use it in sports photography. Snowboarding, skateboarding, parkour, skiing, and rollerblading are great examples of what can be done with the multiplicity effect and a high frame rate. 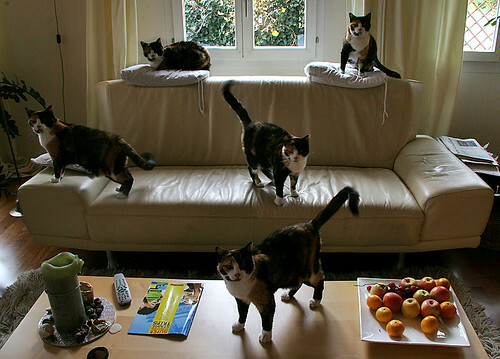 This is widely known as sequence photography. 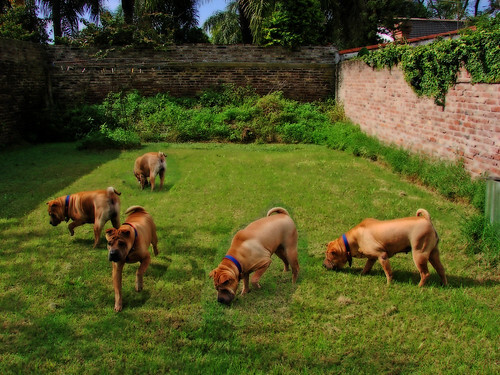 Check out the Sequence Photography group on Flickr if you would like to see more. 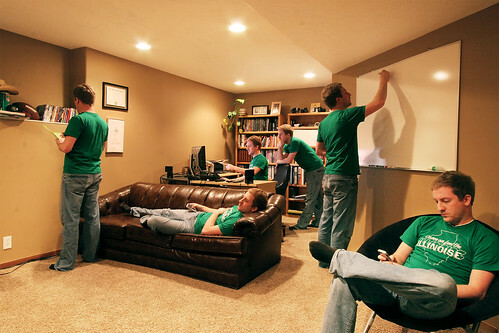 Although the multiplicity effect is commonly used with people, it can also be used with OBJECTS and ANIMALS! 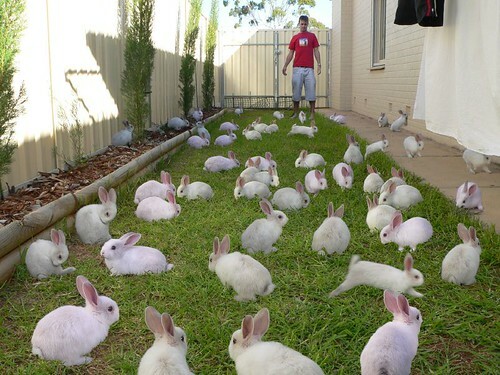 These kinds of photographs are much more rare, especially photos of cloned objects. 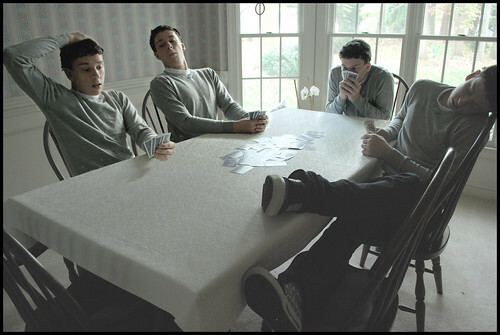 Once again, go watch the Multiplicity Video Tutorial if you would like to learn how to make these. This is a great article. 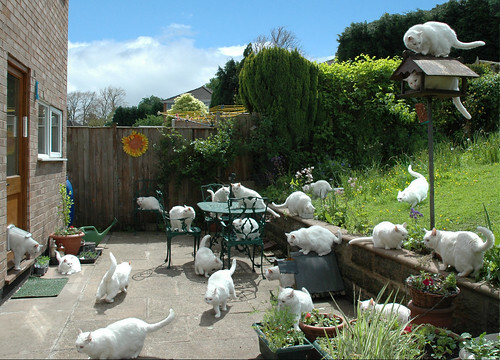 I will try a multiplicity shot myself! 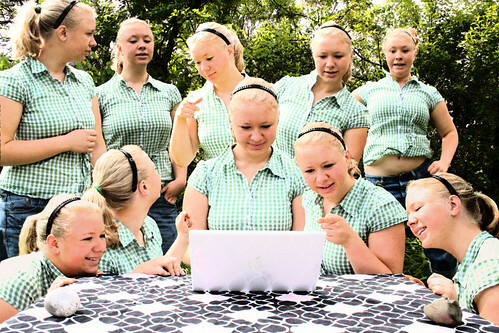 I saw your tutorial for multiplicity on videojug and gave it a go. You can see the results on my flickr page, my user name is swyftie. Thanks for the guide, it was great fun to try out although I think I still have a long way to go with it. 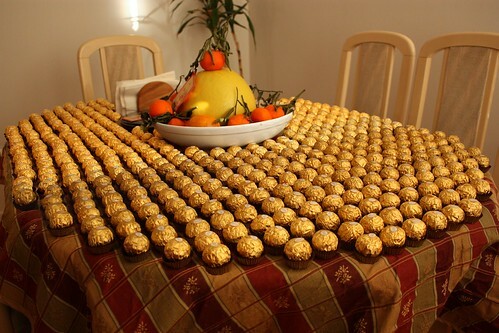 Did anyone ever complete your 100 shot challenge? 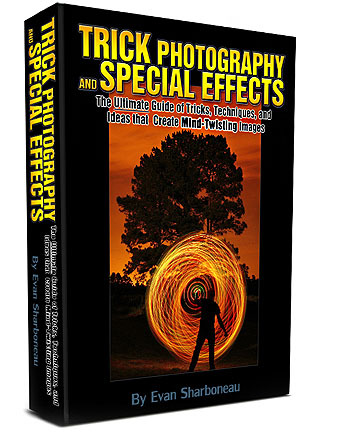 How do i get your free e-book on taking insanely creative photos? Hi, how do I get your free e-book on taking insanely creative photos?